I’ve been on the “chocolate and sugar” diet this week and I think today it hit me. Or maybe it was the baby deciding 4:15 was a good time to party this morning? Both I think…I need a nap and some vegetables. 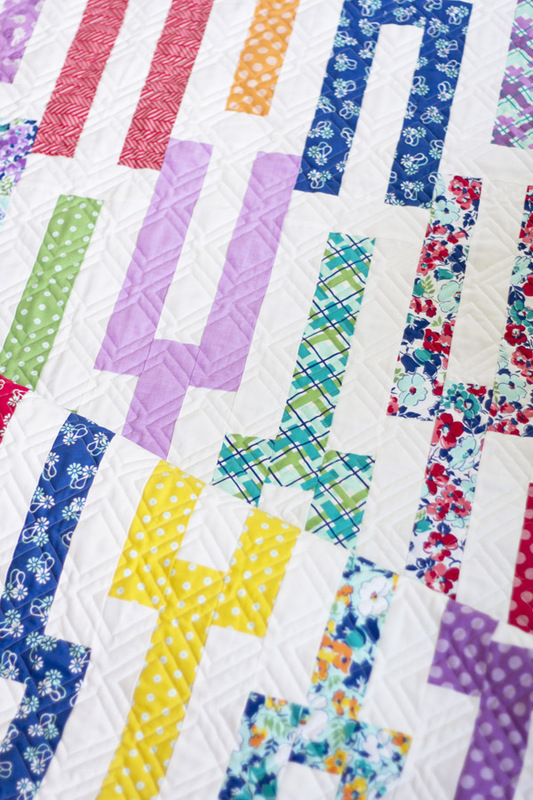 I like this pattern better in one color…but it’s also perfect for a jelly roll and showing off the prints. It would pair perfectly with this set of jelly rolls I used for my Grayscale quilt top. 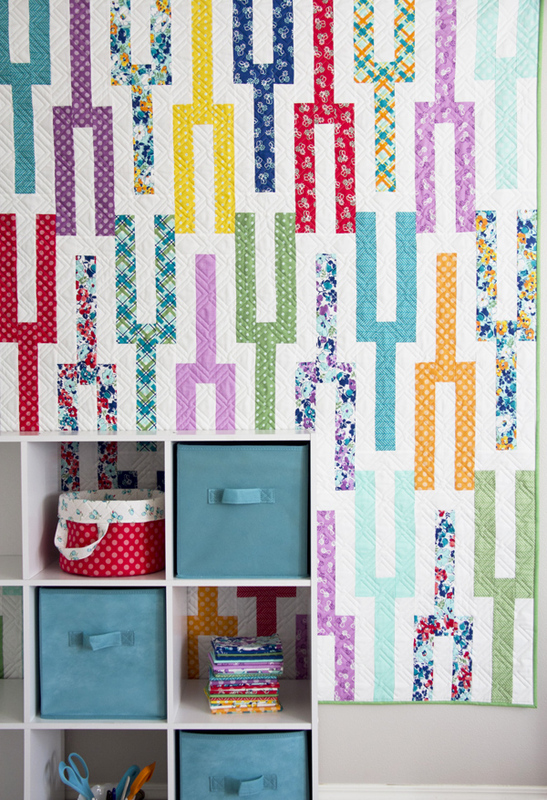 It uses pre-cut strips, or yardage, and you could even use a jelly roll for the background too. Kaitlyn quilted this one and I love the design she chose! It’s simple but adds to the design. 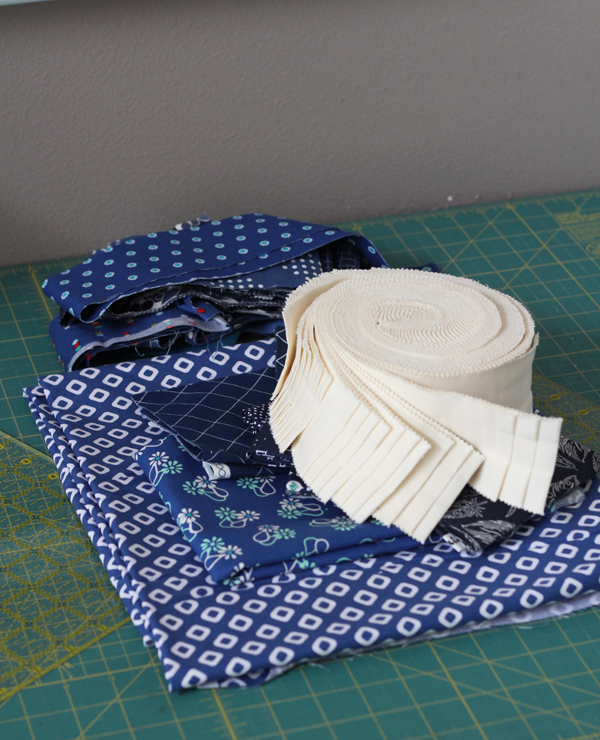 I pulled out all my navy fabrics and an off white jelly roll I’ve had for 6 years or so. I’m hoping to tackle a single color version this weekend so I’ll share that as soon as I get crackin’ on it! In Tune can be found here, or here for paper. Happy Thursday! One more day until the weekend…we can do it! I also prefer the single color. A red and white quilt is definitely a bucket list item for me. This is so cute and yes, it really reminds of those tuning forks. 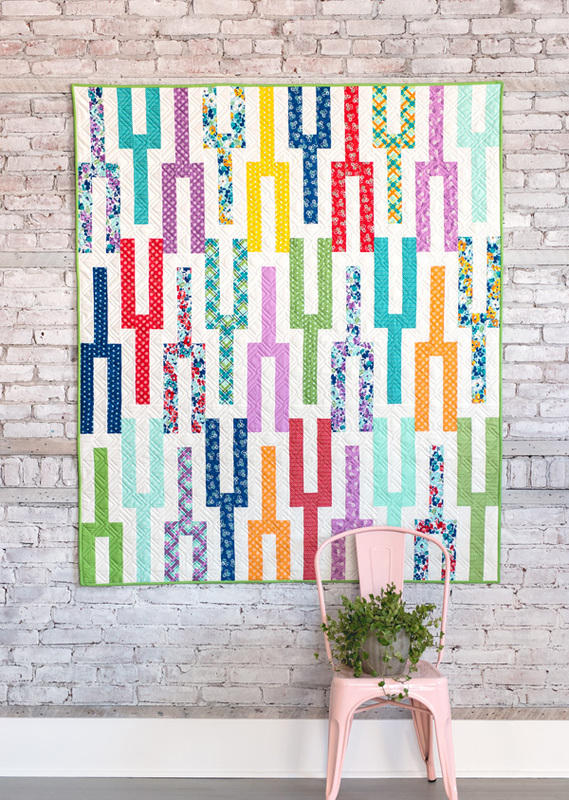 Love how the blocks are put together – no extra sashes to match up. 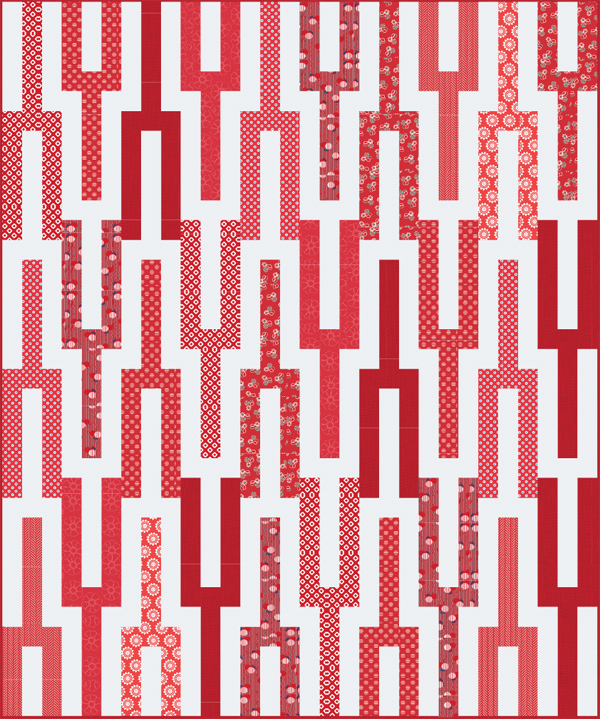 I think this is going to become a favorite pattern :)! The multi color is so adorable. Love, love, love! Allison, I was so happy to find and buy this quilt pattern. I am making quilts for all of my 8 grandchildren (in addition to the baby quilts they got) when they turn 18 or graduate from high school, whichever comes first. I was trying to find the perfect pattern for my 4th oldest grandson and as he and his brother are both musicians but I just couldn’t find the right one. Until I saw this. He’ll love it!! And it will be made in the two colors he picked out. Thanks so much for making my day! Blessings to you and your sweet little family. I love those pictures! Oh what a great quilt for a musician! Great idea! 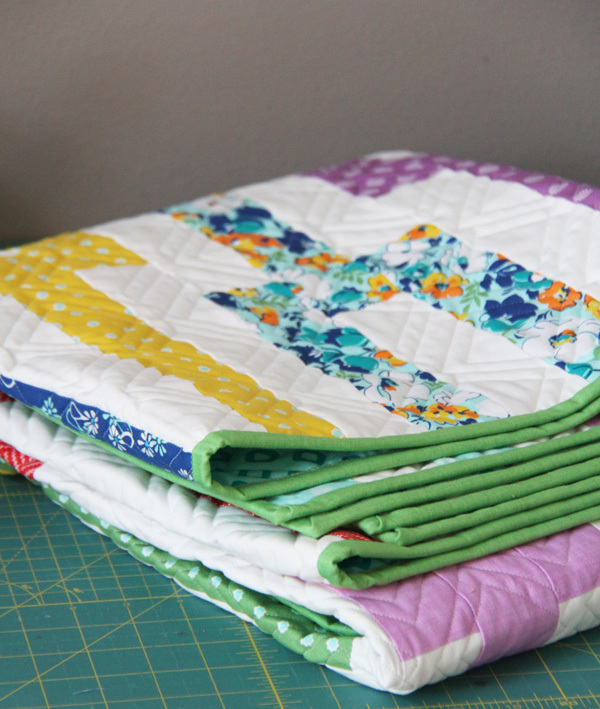 I love that you are making quilts for your grandkids to take after they graduate…what a keepsake! How gorgeous, I love it. I saw the tuning forks theme straight away and am tempted to start one of these now. I love this – my son plays the violin but he still has to tune it. I’ve been thinking about a black and white quilt with teal accents (his favorite color) for Christmas.